Oh, hi there. Dare I risk mushy bread? Of course I had to get it. For science! It wasn’t too bad. Yes, there was a little bread mush. The tofu itself was kind of bland. 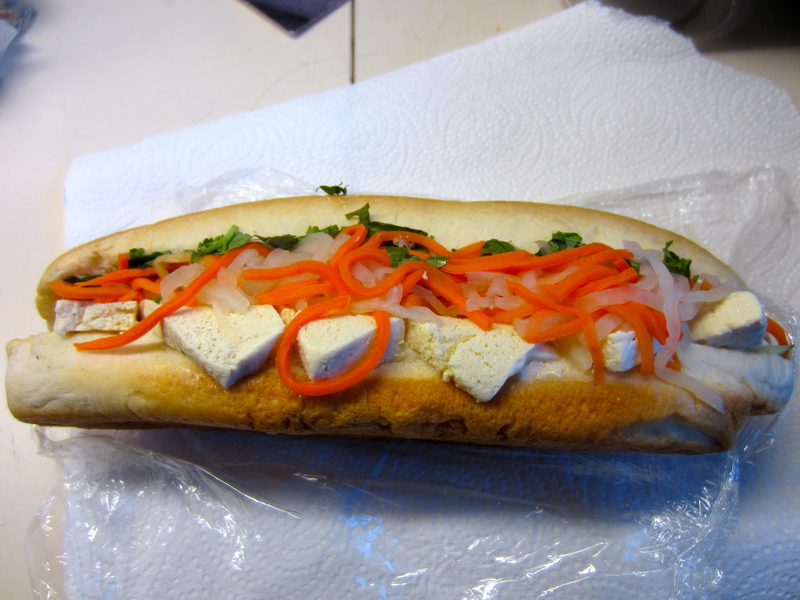 And I was completely without sriracha, which is a necessity here. But it was a reasonable attempt. 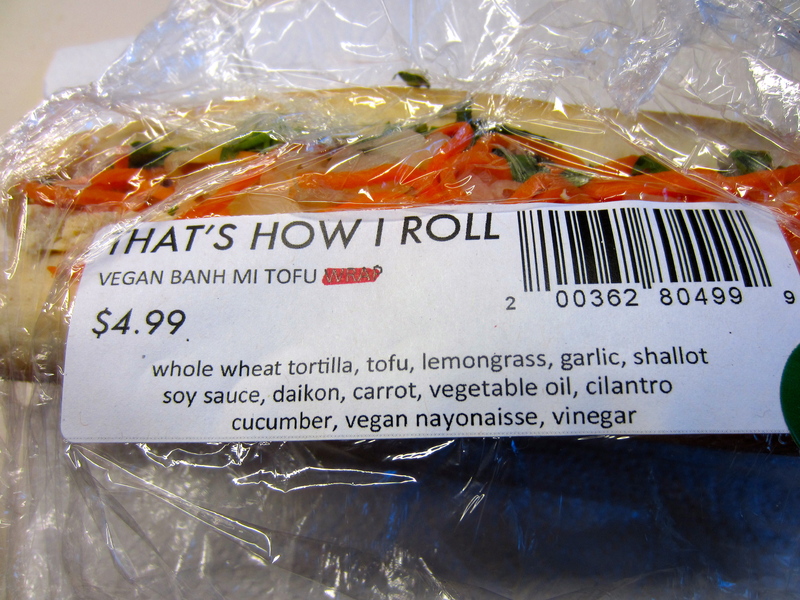 Now, Sevananda has started putting out vegan bahn mi with their pre-made sandwiches and wraps. But like the parfaits, they aren’t always there. I haven’t had one yet, but will try one and make a blog about it, at some point.